The Choir of Gravediggers was a serendipitous discovery via Nathan Hobby who not only blogs his progress towards a monumental biography of Katharine Susannah Prichard but also writes The Annotations of Nathan Hobby. A short story deriving from family history research, the book appealed to me because the central character is Charles Truelove, the author’s great-great grandfather who was manager of the East St Kilda Cemetery. Now as it happens, I know this cemetery well. Upon the death of one of the nuns at school, we would have an afternoon off to form a guard of honour for her funeral, and (as I said in my comment on Nathan’s blog) we were a sort of rent-a-crowd at the burial. Since the nuns were mostly very old indeed, we didn’t know any of them, but I still think it’s a good thing to give a respectful send-off to these ladies who’d spent their whole life in the service of others. But since this cemetery was established way back in 1851, it is also a very interesting cemetery and so I used to saddle up the dog at weekends and mooch around looking at the historic graves. (I often had to carry the dog (a dachshund) most of the way home because she only had little legs and got too tired to walk any more). The most notable grave is Alfred Deakin’s. Deakin was a notable leader of the movement to federate the Australian colonies, and he was our second prime minister (1903-4, they didn’t last long in those days either). But there are also four premiers, Albert Jacka VC, and Ferdinand von Mueller, the botanist who set up our magnificent Botanic Gardens here in Melbourne, and who you may remember from my review of Collecting Ladies by Penny Olsen. (You can see some of the other notables at Wikipedia). But it was mostly the long-forgotten pioneers who captured my interest, the families who lost their children in infancy, and the ones whose headstones gave a place of birth far away. (I’ve also been known to explore the Cheltenham Pioneer Cemetery which also has many poignant headstones from the years of early settlement. I used to give a lift to a friend visiting the doctor across the road, and the cemetery was a more congenial place to wait for her than a germ-laden waiting room). 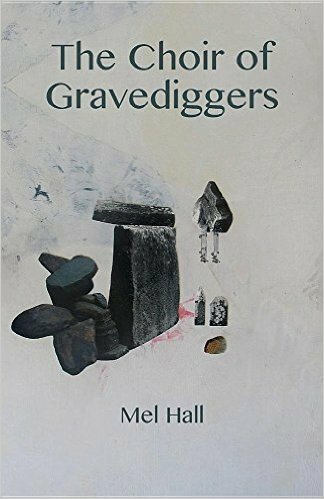 The Choir of Gravediggers takes us back to late nineteenth century Melbourne; a cemetery and a church, choral singing, grave-trafficking, pet incineration, a shipwreck, competitive flower arranging and one man struck by lightning. It might have been easier to vanish to avoid a scandal in those days, but Truelove left enough traces for contemporary research to tell his remarkable story. Oh, I know that cemetery too, as my sister once lived in East St Kilda and I have a “thing” for wandering around looking at headstones! So many stories are lying in the ground or in tombs, don’t you think? I spend a lot of time exploring Brompton Cemetery here in West London, which is one of the “Magnificent Seven” and the resting place of Emily Pankhurst who has a beautiful art-deco monument adorning her grave.